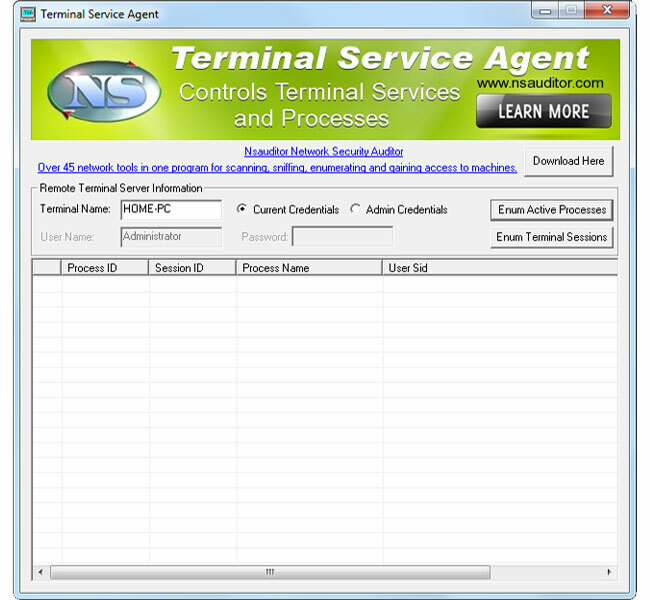 Terminal Service Agent allows to enumerate and control network terminal services and processes and allows to terminate or log off remotely. Terminal Service Agent shows remote network terminal service information like Initial Program, Application Name, Working Directory, OEM Id, Session Id, User Name, Windows Station Name, Domain Name, Connect State, Client Build Number, Client Name, Client Directory, Client Product Id, Client Hardware Id, Client Address, Client Display Resolution and Client Protocol Type. The tool is designed with a user-friendly interface and is easy to use.